The Acoustic Mark III Guitar Wizard works on all guitars but is particularly suited to acoustic and electro acoustic guitars as it's slighty larger than the Electric Guitar Wizard and slightly smaller than the Classical/12-String Guitar Wizard. It is between the biggest and the smallest Guitar Wizards so it is a good compromise to use on all guitars. This is why it is refered to as the Universal Guitar Wizard but it was made specifically for the acoustic guitar. 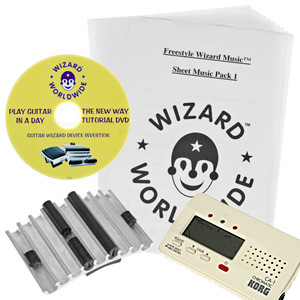 Includes Acoustic/Universal Guitar Wizard, Fretboard Numbers, 55 Minute DVD Tutorial, Korg CA-1 Chromatic Tuner and 12 Sheets of Freestyle Wizard Music (Variety Pack - 1) and Additional Instructions. Everything you need to get you playing the acoustic guitar. The Electric Mark III Guitar Wizard works was made specifically for the electric guitar. It is also most suitable for 1/2 and 3/4 size guitars and smaller hands (child hands) being the smallest of the Guitar Wizard family. 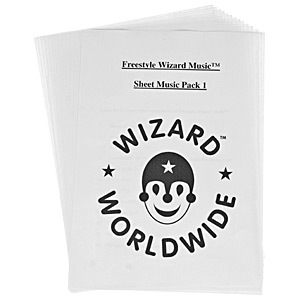 Includes Electric Guitar Wizard, Fretboard Numbers, 55 Minute DVD Tutorial, Korg CA-1 Chromatic Tuner and 12 Sheets of Freestyle Wizard Music (Variety Pack - 1) and Additional Instructions. 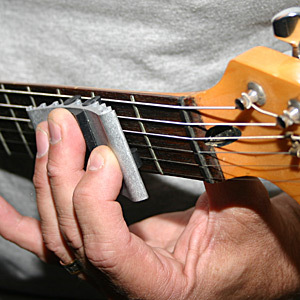 Everything you need to get you playing the electric Guitar. The Acoustic Mark III Guitar Wizard and Electric Mark III are both included in this system for those who want to use the best wizard for these two different types of guitar. 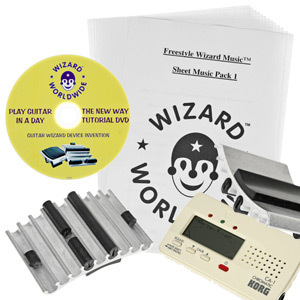 Includes Acoustic Guitar Wizard, Electric Guitar Wizard, 2 sets of Fretboard Numbers, 55 Minute DVD Tutorial, Korg CA-1 Chromatic Tuner and 12 Sheets of Freestyle Wizard Music (Variety Pack - 1) and Additional Instructions. Everything you need to get you playing the electric and acoustic guitar using the right wizard for each. The Acoustic/Universal Guitar Wizard by itself. The Electric Guitar Wizard by itself. 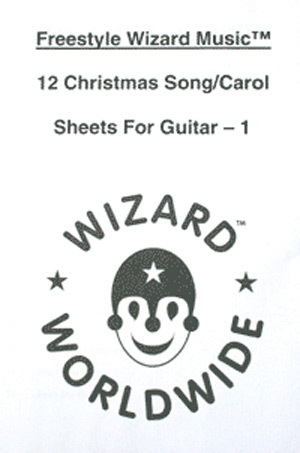 The music is particularly helpful at the early stage since it is already in numbers (both wizard numbers and conventional letters with # (sharps) and b (flats) are on the fretboard stickers so you will be able to play using those as well without needing to understand them - just see them and match up what is on the music with what is on the stickers). It is useful again after you are playing from ordinary music you can download from websites, take from libraries etc as it is easy to transpose Wizard Music into all the different keys instantly by adding and subtracting the same number from all the numbers as you play. Also, the songs are centred on chord 12 so that you have the open major chord (no wizard) to give you time to think before you move to the next chord. House of the Rising Sun, Scarborough Fair, Amazing grace, Londonderry Air, Travelling Man, Down by the Riverside, Daisy Daisy, Silent Night, Away in a manger, Auld Lang Syne, Old MacDonald had a Farm and My Bonnie. Note: This price is reduced to £10 when ordered over the telephone with other items at the same time, and being sent to the same address. 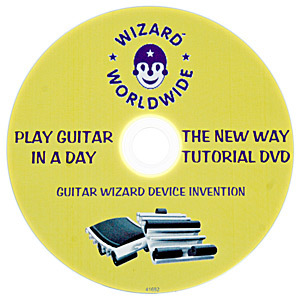 Complete Guitar Wizard tutorial on DVD - 55 Minutes long and shows you how to tune your guitar to our special tuning, everything you need to know about the system, chord progressions that work for thousands of pop songs, the 12 bar blues, How to use wizard music (you will understand it immmediately!) Some songs on the end where the wizard music comes up on screen as they are played and sung for you to play along/sing with. The one dvd will enable you to use all wizards including banjo and ukulele. Once you can use one you can use them all! We have a completely different tuning for all instruments using the new invention. 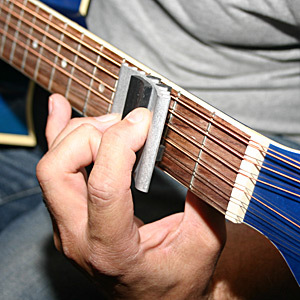 Therefore you need a chromatic tuner since a standard guitar tuner (for example) cannot tune the guitar to the tuning the new invention requires). 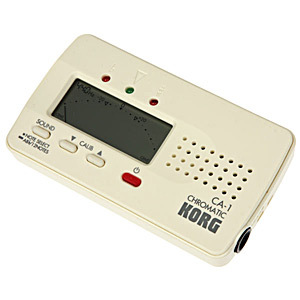 However, the good news is you will only need one Chromatic tuner since it works for all the different tunings you need including the Banjo and Ukulele Wizards. Fabulous chromatic tuner - quickly tune your guitar with great accuracy. Reduced since we now sell CA-1. Please telephone ref availability. 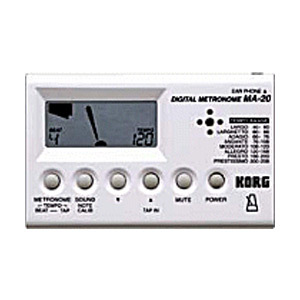 Excellent little digital metronome - easy to use and very accurate - please phone for availability.